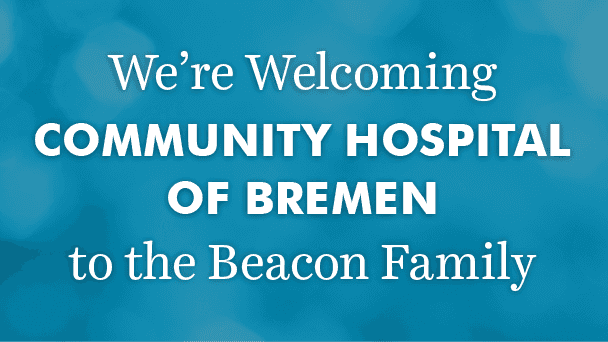 The Community Hospital of Bremen Board of Directors has approved a resolution and ratified the vote of hospital membership to officially join Beacon Health System. These actions followed a community-wide vote that resulted in an overwhelming 97 percent favorable response in support of the plan. Community Hospital of Bremen is a 24-bed critical access hospital serving Bremen and the surrounding communities. The hospital, which employs about 170 associates, contains a full emergency department, diagnostic imaging and lab, surgery, medical/surgical unit, obstetrics, sleep lab, physical therapy and occupational health.